Spring or summer may not seem like the time to talk football, but if are planning on coming up to Tally for a game in the fall, you should be looking to book your hotel by now. Seems early, perhaps, but in case you don’t already know, at FSU, football is a big deal. I have been going to Nole football games since….well, my first child became a Nole. Before that, I had never been to a football game anywhere. (Nor had I worn much garnet and gold; now a great deal of my wardrobe is made up of it. More on that later.) I have more than adapted; I actually can (sort of) follow what is going on on the field and definitely love the hype and excitement that saturates the stadium. I should probably mention that my daughter’s senior year/my son’s freshman year was also the year the Noles took home a National Championship. It was pretty exciting; I have to admit. I don’t know which opponents are the big rivalries, but friends and my kids fill me in (ie: UM/UF/Clemson) and which games should be sleepers. We play one of the toughest schedules in the nation, so every game is a good game. The season opens at home on August 31st this year against Boise State. A Nole home game is an experience beginning with the tailgating. Be sure not to miss the game opener though. Chief Osceola and his horse Renegade and the planting of the spear are legendary. If it’s a night game, make sure to grab a photo outside by the Unconquered statue while the flame is lit. Here is the 2019 schedule. If your plan is to come up for a game to visit your student, you may want to start booking your hotel now too. There are some that are already sold out. When looking for a hotel, prepare for some sticker shock as you will notice the rates are sometimes double what you would pay for a weekend with no events. Students should join the student boosters to accrue points towards tickets. The more they use them, the more points they acquire and the better their chances of getting to big games become. As for season tickets; the longer you hold them, the earlier you can change your seats to better and better ones. Getting to the shady side of the stadium is key particularly for those noon games. The Champions Club generally has availability as well as food, alcohol, bathrooms and air conditioning, but and you will undoubtedly pay a premium for these seats. There are many ways to get tickets otherwise from StubHub to FSU Athletics. Every Friday night, when there is a home game, there is also Downtown GetDown on Adams St. Basically it is a giant community pep rally where there are live music, local crafters, food and adult beverages. It is a family-friendly event. 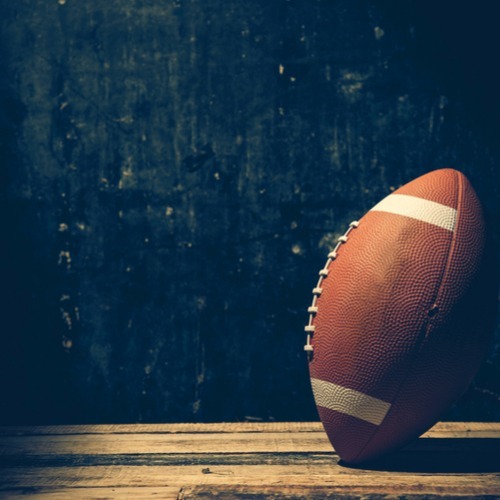 Football weekends are a big deal especially with FSU’s strong alumni base and national appeal (if they are playing well, you may see ESPN’s College GameDay broadcast at least once from campus), so it is important that you plan ahead. If you are planning on coming up for Homecoming (this year’s homecoming football game will be against Syracuse on Saturday, October 26th), you may want to book a hotel for Thursday through Sunday so you can take in and the Parade on Friday, complete with floats, sororities and fraternities competition, and the Homecoming King and Queen. There is usually a big performer at the Civic Center as well. Your regular Seminole t-shirts are certainly acceptable, but if you want to be on trend, consider skipping your typical FSU t-shirt and go for a fabulous combo in garnet and gold. Anything goes from maxi dresses with cowboy boots to fringe tops and short shorts. Guys in FSU gear are fine. Wait until you see some of the game-day dresses some of the girls have made! Of course, keep in mind that a noon game can be extremely hot; particularly if you are not in the shade, so dress appropriately. Check Fansedge, Fanatics, Life Is Good or their local Target or Walmart for any of these. Even Etsy and Overstock carry college logoed items. Just type in your University and search away. For those with fancier taste, check out Dooney & Bourke collegiate collection. For students, check out our blog on Game Day attire. Parents, we’ve got your gameday wardrobe recommendations here. Doak Stadium does have a clear bag policy. Find some great personalized ones on Etsy. See our blog on hotels and start planning now! Demand will increase as FSU starts promoting the sale of tickets for the game.